A lot of things go into making a pro athlete. And when it comes to being the type of individual worthy of playing in the National Football League, the steps required for success become that much more crucial. First and foremost, it starts with natural talent. Without the initial skill at one’s disposal, there’s nothing for a player to build on. From that point on, it becomes all about cultivating that talent; putting in the necessary work to take your game to the next level. And then, on top of having the passion, drive, and motivation to be better than the next guy, you need to exude confidence in your abilities. This is where things can get a bit tricky. Confidence can often times be misconstrued as arrogance. And that may rub some people the wrong way. However, if a person is truly going to stand a chance to compete in a league filled with the best players on the planet, then they must have an enhanced belief in themselves; especially if that person has to make up for some physical limitations. 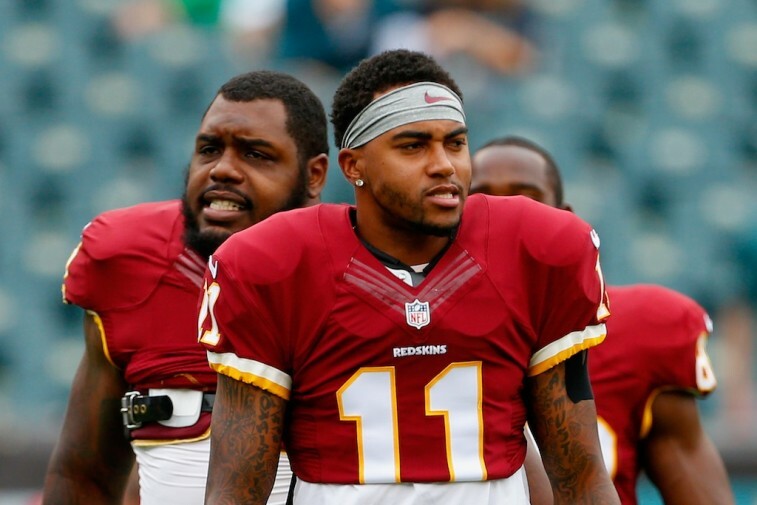 And in that respect, there may be no more confident player in the NFL, than Washington Redskins wide receiver DeSean Jackson. On Monday, reporters asked Jackson about going up against cornerback Chris Culliver in practice; specifically about how the defensive back challenged him. That’s when the speedy receiver made it perfectly clear just how confident he is in his abilities. Was the wide out being arrogant in his remarks? That’s not up for us to decide. However, if you look at the numbers he’s put up since being taken with the No. 49 overall pick in the 2008 NFL Draft, one thing becomes alarmingly clear: Jackson has every right to be confident. Despite being listed at just 5-foot-10, 178 pounds, the seven-year veteran has established himself as one of the most perennial deep ball threats in the National Football League. Last season, Jackson averaged 20.9 yards per reception. Not only was that number tops in the league, it was a good three yards more than the next guy in line (Arizona Cardinal’s Michael Floyd). This is the second time in his career Jackson has led the NFL in yards per catch — in 2010, he hauled in 22.5 yards per reception. In fact, he is the active leader in the National Football League in this particular category, with an average of 17.7 yards a catch. His incredible ability to gain separation from opposing defenders, means that Jackson is a constant threat to make big plays. Something he did plenty of in 2014, when he led the NFL with 13 catches of 40 or more yards. With a resumé like that, it’s no wonder No. 11 on the Redskins has so much faith in himself. Coming off two consecutive losing seasons, the Washington Redskins must find a way to climb out of the NFC East cellar. This team has a lot of question marks heading into 2015, most notably whether or not Robert Griffin III has what it takes to be a franchise quarterback in this league. 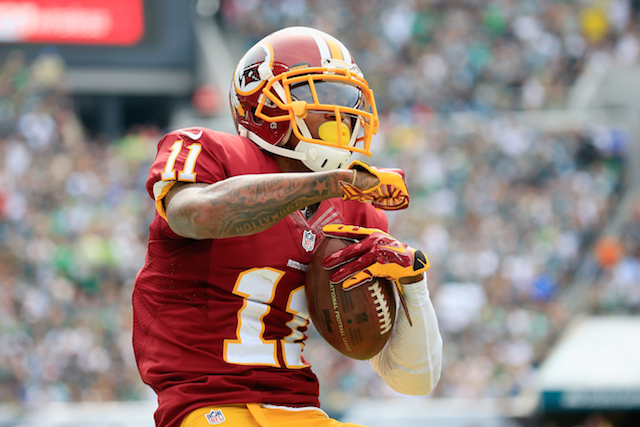 Yet, if this team is looking for a player to lean on, someone who’s never without his fair share of self-confidence, it need look no further than DeSean Jackson. He’s got plenty of it. And for good reason. All statistics are courtesy of Pro-Football-Reference.com and ESPN.go.com.